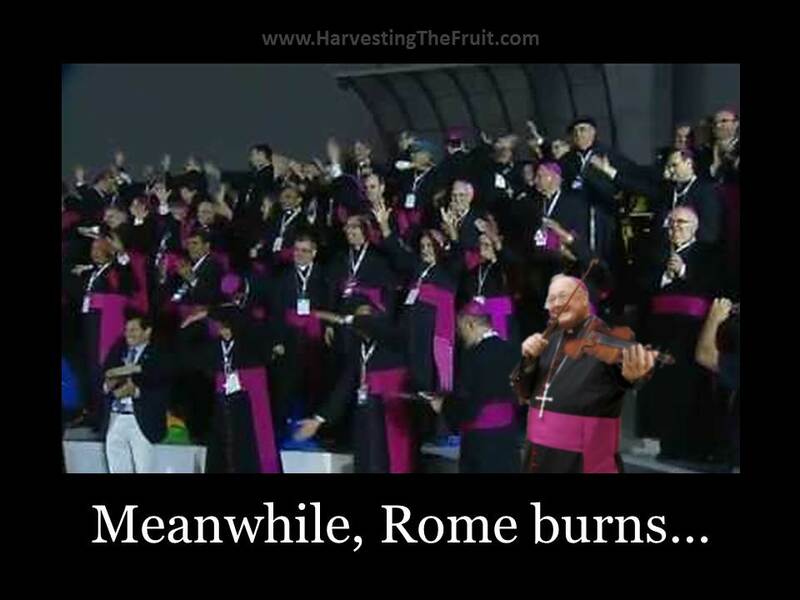 A video surfaced last week showing a large group of bishops at World Youth Day being led through a choreographed dance routine to a song called, “Francis,” written in honor of the pope. It was a dry run rehearsal for the “flash mob” that took place just prior to the Papal Mass celebrated on Sunday, July 28th. Clear thinking, level headed, Catholic commentators (like Fr. 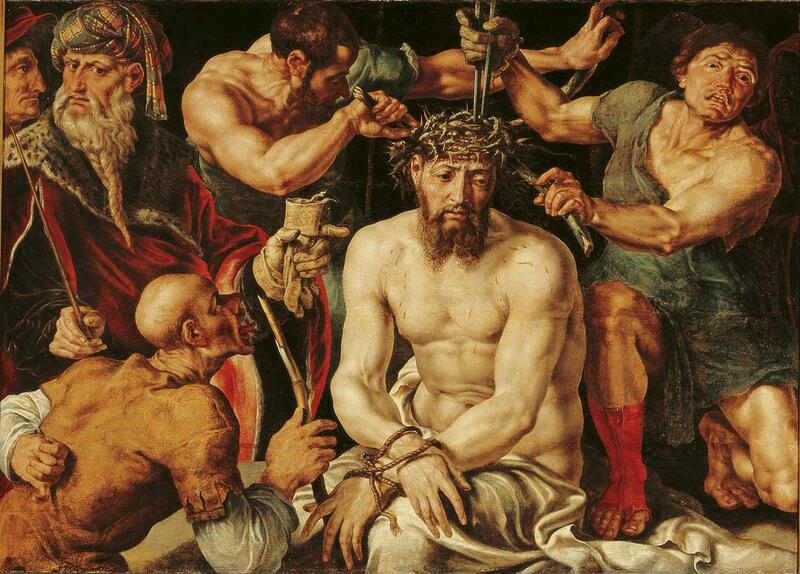 Z) pointed to the rank silliness of such undignified behavior on the part of the Successors to the Apostles. As one might expect, the “Cotton Candy Catholic” crowd comprised of those poor delirious fools who stumble over the rubble that was once the Catholic Church while uttering mindless slogans about the “new evangelization” responded just as quickly to criticize those who found fault with the prancing prelates. Subsequently, another video surfaced of Sunday’s “big show” during which throngs of sweaty, whipped-up laity, as well as hundreds of clerics vested for the Holy Sacrifice of the Mass – bishops included – got their groove thing on as if determined to do their level best to make Joel Osteen’s congregation look like a choir of contemplatives. Anyone who has even a modicum of awareness as to the true nature of Holy Mass, not to mention a healthy appreciation for the profound liturgical example provided to the Church Universal in the celebration of a papal liturgy, recognizes this episode as nothing short of despicable. Not only is this an unthinkably irresponsible lesson in what it means to prepare oneself for an encounter with Christ at Holy Mass, it’s a direct slap in His face. As for the young people assembled at WYD, they are the victims of nothing less than spiritual child abuse, having been malformed in the Faith at the hands of negligent caregivers who have delighted in feeding them quasi-protestant pablum disguised as Catholic nourishment. By every meaningful measure, the concrete structures of the Catholic Church are crumbling right before our very eyes as many, if not most, of our so-called “leaders” seem perfectly content to do little more than to emulate the example of Nero. Just another nail in the coffin of the Catholic Church. Can anyone get drunk enough to seriously imagine the likes of Bishop Sheen or perhaps St. Padre Pio engaging in such lunacy? The dignity and majesty that defined the Catholic Church for centuries has been gutted by the “feel good” tripe that flows like so much raw sewage in the wake of Vatican II. I watched the video and could not escape thought that so much of the Church now more resembles Protestant Pentacostals than Catholicism. The carnage in the Church since 1965 is the darkest chapter in her history. Some may think that a provocative statement in light of the Church’s early persecution; the Great Schism and the rise of Protestant heresy. But I stand by my statement. I think you’re out of line. I am an orthodox Catholic convert. Right now I’m not a daily communicant because our young, orthodox and holy parish priest is leading a group of 34 youth on the pilgrimage to WYD, and so there’s no daily mass until he returns. Your comments are not well taken. I do have a modicum of awareness regarding what the mass is. This video (admittedly) was not taken during mass, and displays a type of liturgical celebration that is extraordinary, i.e., unusual, unique, special. It’s not a blueprint for the way masses are to celebrated elsewhere, much less typical parishes, especially since it’s not during mass at all. 3.2 million souls who came to Rio because they love our Holy Father and love Jesus and shout with praise before the celebrating His sacrifice. It’s just terrible. QM: With all due respect, I could not disagree more vehemently with you. I don’t know when you converted to the One True Faith, but I strongly suggest you familiarize yourself with the Pre-Vatican II Church. Even a cursory comparison will leave you will the distinct impression they are two different faiths. Want to a quick example? Go to Youtube and view any one of several videos of the Latin Mass. I cannot fathom how someone can refer to themselves as an “orthodox Catholic” and not be embarrassed and disgusted by the “Bishops’ Dance”. What’s next? Poisonous snake handling and Benny Hinn-like faith healing at mass? Any person in need of understanding the current destruction of the faith need not look to the pulpit. There’s very little if any truth about what’s really important coming from the pulpit, I’m sorry to say. I urge you to watch Michael Voris and “Vortex” episodes. Voris is unafraid and tells it like it is! Hs comments are more beneficial to souls than are the comments of 90% of the Catholoc bishops in the word. Voris is a courageous Catholic, willing to endure much persecution — all in a holy effort to speak the truth. Jim, instead of listening to the bishops, you say I should listen to the guy who recently reported from Rome on the “gay whistleblower” who was “naming names” of other priests in the Vatican as though it were fact? That story was so accurate, 24 hours later the whistleblower was arrested by Roman police for his lies. Mr. Voris may be an exceptional Catholic, but he’s not a successor of the apostles and he has no teaching authority, whether pre or post Vatican II. You might be a better Catholic for loving the pre-conciliar Church and assuming that I do not. You might be a better Catholic for knowing there’s only ONE right way to do sacred liturgy: your way (not the pope’s). You might be a better Catholic. You probably are. I hope you’re happy that I understand your point. I hope you pray that the point matters to Jesus, because you’re causing a lot of collateral damage, and disparaging me and millions of other Catholics making it. Or are we simply not Catholic to you? Rome is burning and you are upset that the fire department stopped wearing their dress uniforms. Because dress uniforms are proven to put out fires. … Better than the regular ones. (“Well duh,” you say). I think the whole point is the protestant style sillyness. Where has it all taken the Church? There are sooo many exanples of it all around the world. One does not have to attend a Latin mass to be a real Catholic, but this opening up to new and different ways of expressing ourselves is just not working. The Catholic church, at least in the US, is becoming increasingly just another denomination. People who are raised Catholic leave in droves. True, society is much to blame, bad instruction, bad example, etc.. These silly things that certain priests and bishops do is just not leading the Church, as a whole, closer to God. QM: I don’t purport to be a “better Catholic” than anyone, including you. As for Michael Voris, he was one of hundreds of journalistic outlets to report the facts as they were being reported. Those other outlets included some of the largest newspapers in the world. He simply reported what was being said at the time. The only infallability assurance we have is from Christ himself – which is with respect to faith and Morals. That leave a whole lot of space for problems. When bishops fail to speak the truth, that’s a major problem. When bishops are loath to confront issue that threaten the souls of thir flocks because the issue is unpopular, that’s a major problem. When parishioners go to weekly mass and NEVER hear a sermon on “The Four Last Things,” but hear monthly sermons on “social justice, and immigration policy,” that’s a major problem. Just because bishops are “successors to the apostles,” it doesn’t mean they’re all doing their job. I stand by my original statement. A person will derive more benefit for their soul from one “Vortex” than from 98% of the sermons this Sunday. I don’t care what “uniform” is worn. Just get firefighters to the scene who are more concerned about putting out the fire, than the next promotional exam. Excuse my typos….so-called “auto correct” is one of the great evils of our time. Not to get off the subject, but Michael Voris seems to invoke very strong feelings and reactions in people these days. If I am correct, Catholic Answers even banned mention of his name for a time. Interesting. Guys, this not a compition to see who is the better Catholic. There is a time and place for everything. Even dancing and getting a little silly. In my opinion, this was not the time or place. Having one bishop at a backyard BBQ dance a little jig out of happiness is one thing, having a ton of them moving around, like robots playing simon says, is quite another. As for Mr. Voris, he is just a concerned Catholic reporting on the state of things and trying to provide as much good catechisis as he can while he is still alive. Nothing wrong with that. I agree with the article —and Jim Thomas’ comments. 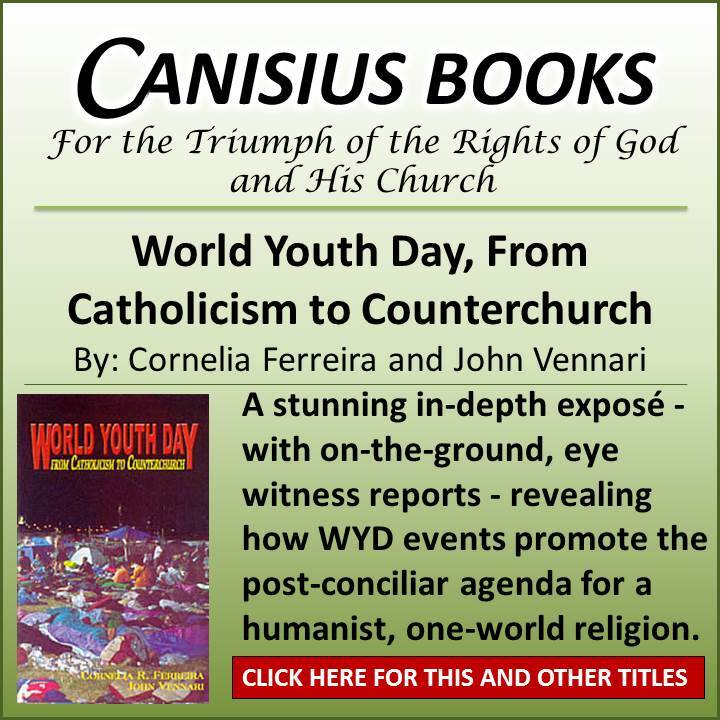 Just because the prelates are taking part in WYD —sometimes referred to as the “Catholic Woodstock”)—is no reason to abandon dignity and put on the fool’s cap. It was an embarrassment to say the very least. I have read that Padre Pio would spend a vary long time preparing his soul to say Mass… and his daily low Mass was a very long one. Doubt if it would be recognized by most Catholics today. Context and perspective are such rare commodities in the modern world. 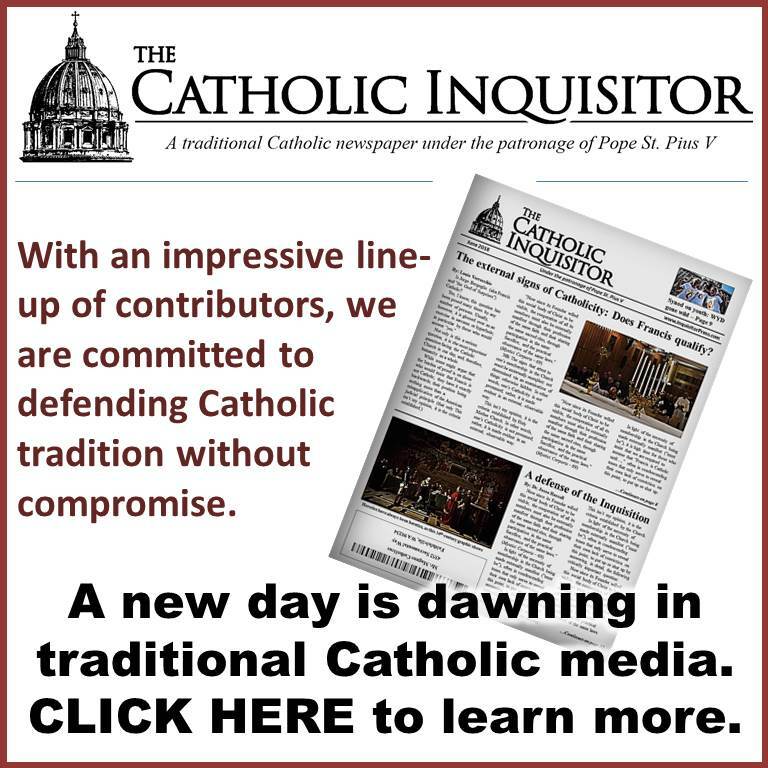 Traditionally-minded Catholics are forever tarred as holding themselves to be “more-Catholic-than-the-pope” merely because they prefer a form of the Church’s primary form of public worship which dates back farther than 48 years, and also happens to epitomize the most distinctively Catholic character of worshiping Our Lord – this is just backward. While the novus ordo form can, with proper care, be conducted in a satisfactorily reverent and orthodox manner, having experienced the traditional Latin Mass, one would be hard-pressed not to regard the post-Vatican II Mass as something of an abridgement of the original at best, or at worst, a hollow mockery of the true Mass, unaccountably diluted with elements of Protestant worship, age of Aquarius inclusion and intellectual pablum. The ageless maxim, “lex orandi, lex credendi, lex vivendi” still holds, and is proven out in ever more alarming accuracy; as the forces of liturgical and theological modernism continue to wage their war against orthodoxy, self-identifying Catholics behave and live lives ever more at odds with even the most obvious demands of discipleship to Christ as passed on by the Magisterium. A return to traditional liturgical practice, paired with regular, rigorous and authentically Catholic encouragement and correction from the ambo, will grow the number of the faithful, multiply responses to vocations, incur more conversions, and eventually bring about a restoration of a vibrant society with just and moral laws. More of what we have now will amplify and hasten the disintegration of the edifice of the Church as well as civil society. Traditionally-minded Catholics prefer an older rite than the Novus Ordo, but asserting that it is better because it dates back further than 48 years is hardly compelling argument. 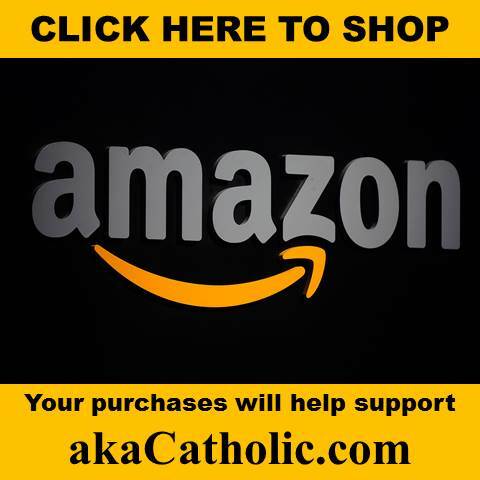 The selection by most traditional Catholics of the 1962 missal embodies a tradition only covering the most recent 500 years of the Roman rite, at best. I don’t see traditional Catholics clamoring to use missals from 900 A.D., which lays the foundation for my second point. If you read Justin Martyr, he provides some, but not extensive detail, for the order of mass in the very first centuries of the Church. I missed the parts where he (or any of the gospel accounts) mentions the six candles, the bells, the transfer of the missal from this side of the altar to the other, etc., etc. Vatican II speaks of wishing to return to the early time of the Church, which is categorically dismissed and derided as ridiculous by traditionalists, the reason for which I can’t fathom, apart from the fact that it means that would have to admit to being somewhat wrong in claiming the 1962 missal is the most accurate and authentic mass. You may be correct that the EF expresses a certain reverence that can be lacking in NO masses, especially if the NO mass is in the extreme. But I will defer to the Holy Father over what dissenting bloggers and schismatics think in this case of WYD, especially when the opinions are expressed in such a way that profound disrespect is shown. Pope Francis has said nothing remotely derogatory about traditionalists, can the same be said about what appears on this site? 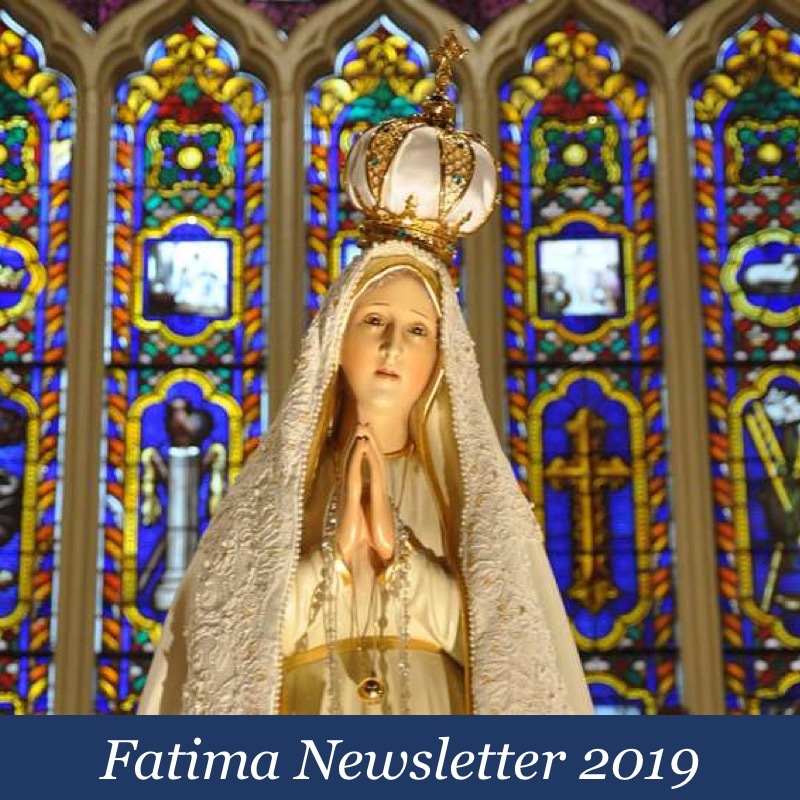 Note, I’m not attempting to tar you as more Catholic than the pope, but only to say that Jesus Christ Himself is the eternal unchanging God, but His Bride, the Church, continues on her pilgrimage, which means that she moves and changes while always remaining holy and true. That’s tradition, and it includes course corrections in terms of expression of Divine Liturgy. It’s indisputable that there is precedent for such changes. You simply don’t like them. You prefer and may genuinely be more engaged by the old way. I say, who am I to judge? You have the motu, and I earnestly pray — though I attend EF mass infrequently myself — that nothing changes with respect to the celebration of EF masses other than they flourish wherever the faithful support them. I believe it’s a big enough Church (Jesus’) to hold us all. I have only attended one EF mass, we belong to an NO parish. That said, I believe that people prefer the EF NOT because of it’s age, but because they consider it to be more reverent, contemplative, and beautiful than an NO mass and thereforeore conducive to the proper worship of God. That is not to say that there are no reverent NO masses, but I’ve moved all over the country, and I’ve experienced the type of NO masses that would leave anyone feeling starved for something more sacred. The NO masses I grew up attending in the 1980’s were very reverent. I attended the church I grew up in for a wedding 6 years ago, what a change. 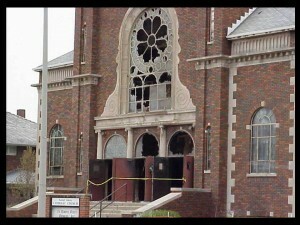 They 80 year old church with the gorgeous stained glass windows felt completely different. 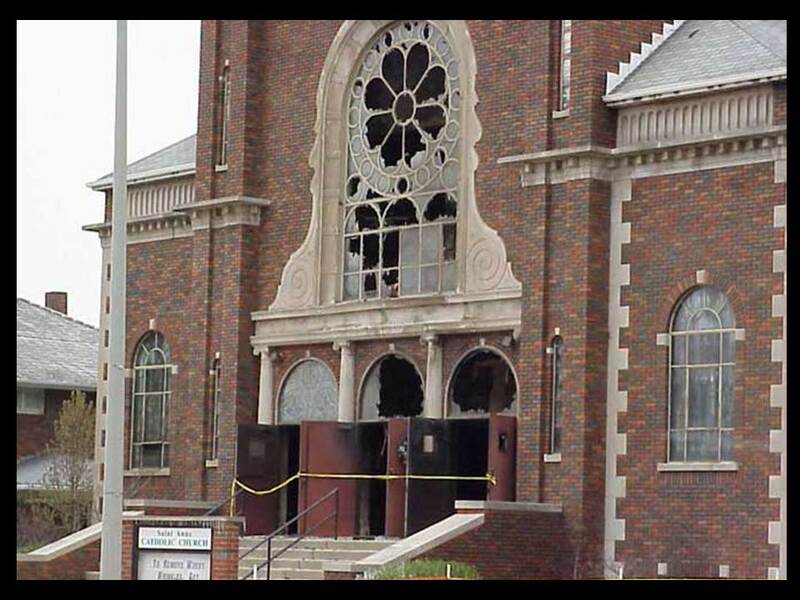 They had removed the tabernacle from the front of the church, there were only two altar candles, and there was now a piano and set up for a band and/or cantor next to the altar, the choir loft and historical organ had been abandoned apparently. This set up is not any different than the newer churches I’ve had to attend, but being witness to the before and after of this church’s remodel, I can tell you that the before felt much more reverent than the after. I’m new to the world of traditional Catholocism, experiences like this are what made me think maybe something was going wrong. Certainly I never heard any such thing from the pulpit, and certainly my liberal, mostly non-practicing, family members loathe anything “traditional,” my feminist mother complains about “patriarchy” when the topic of Latin comes up. It was my personal sense of loss over the divine in our worship that led me to investigate the EF, not because I thought the older mass would be more authentic, but because the newer mass was missing something.